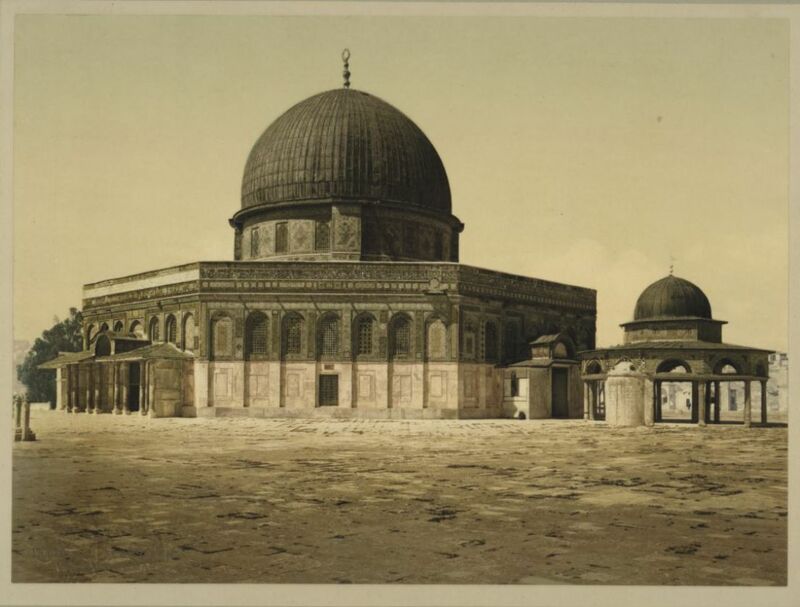 The National Library's photo collections include two albums whose pictures were produced at the end of the 19th century using the process known as photochrom. What was this method and why do the photos resemble oil paintings more than the black-and-white originals? The first color photo was taken in 1880 by Thomas Sutton, a student of the mathematician and inventor James Clerk Maxwell. It was a picture of a scarf. 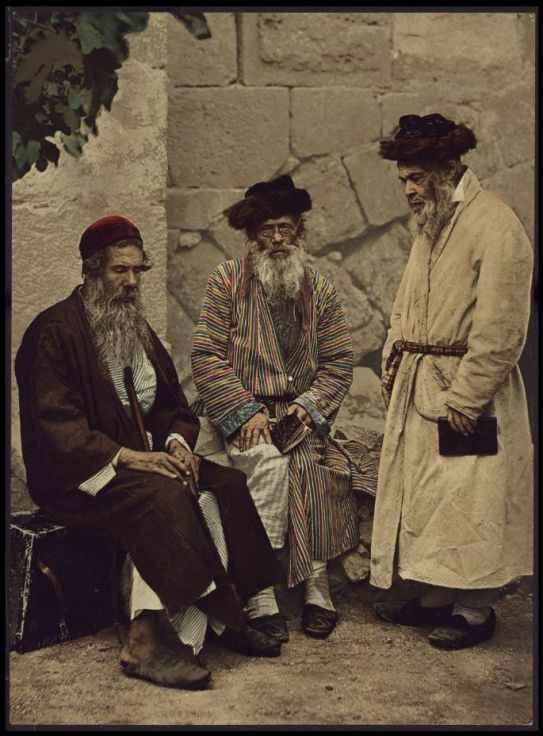 Even though the technique for making color photos was developed within decades of the invention of photography, it would take more than 100 years for color photography to relegate black and white to the art world. Color's victory took place in the 1970s. Until then, color photography involved expensive techniques used almost exclusively by professional photographers. In its first decades, color photography was considered unreliable. Twenty years after the creation of the first photographic image, a Swiss printer named Orell Fussli developed photochrom. Unlike color photography that captures the object's original colors, photochrom colorized black-and-white photos. Fussli’s innovation was to use lithography, a printing method that had been around for centuries. Within a few years, photochrom conquered the world of photography. Its main advantage was its low cost and relative ease of producing multiple copies that could be sold. In 1888 the company Fussli opened a subsidiary called Photochrom Zurich. From its inception to the 1920s the company used its patent to dominate the global market for color photos. Zurich was the place to go to for anyone wishing to splash color in a photograph. The Swiss company’s monopoly led to an interesting twist. In the absence of specific instructions, company employees had no way of reconstructing the original colors in a black-and-white photo. So they simply had to rely on their imagination. This brings us to those two albums in the National Library in Jerusalem. 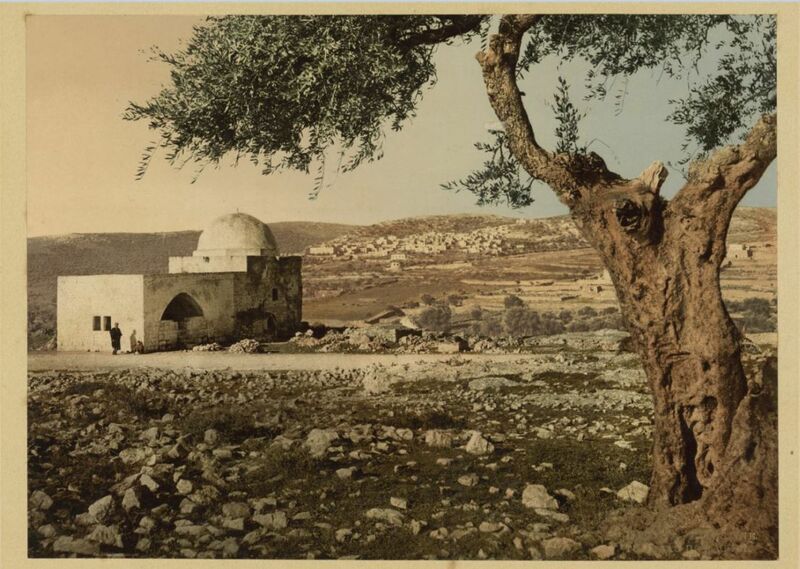 The first album, produced in 1900, is a collection of photos from a pilgrimage by Austrians to the Holy Land. But it wasn’t the tourist-pilgrims who took the photos. 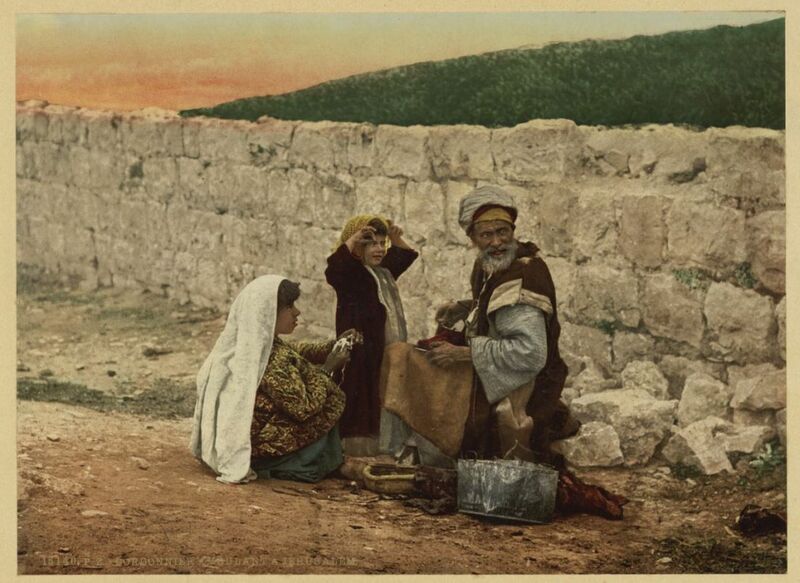 At that time there were several professional photographers in Ottoman Palestine. These guys took the photos, and the coloring was done by Photochrom Zurich. 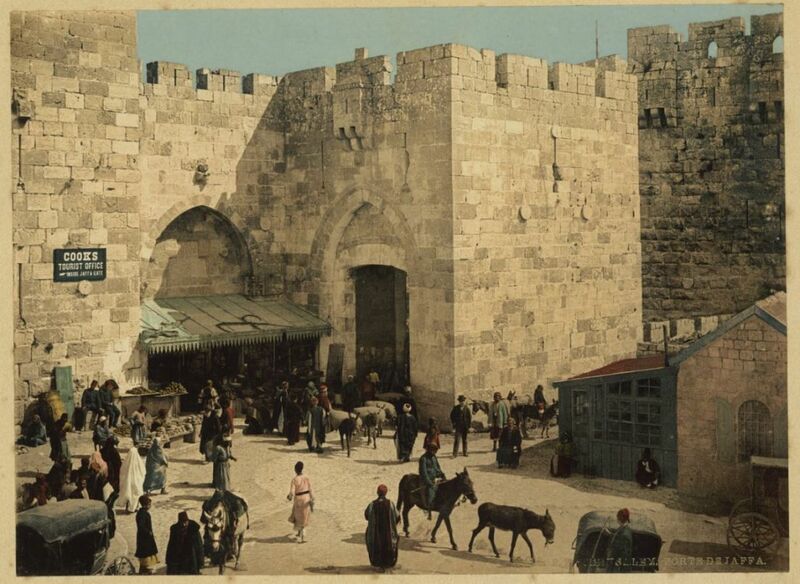 The pilgrims, like other clients who were interested in photos from the Holy Land, selected their favorite pictures, apparently of places they had visited on their tour. 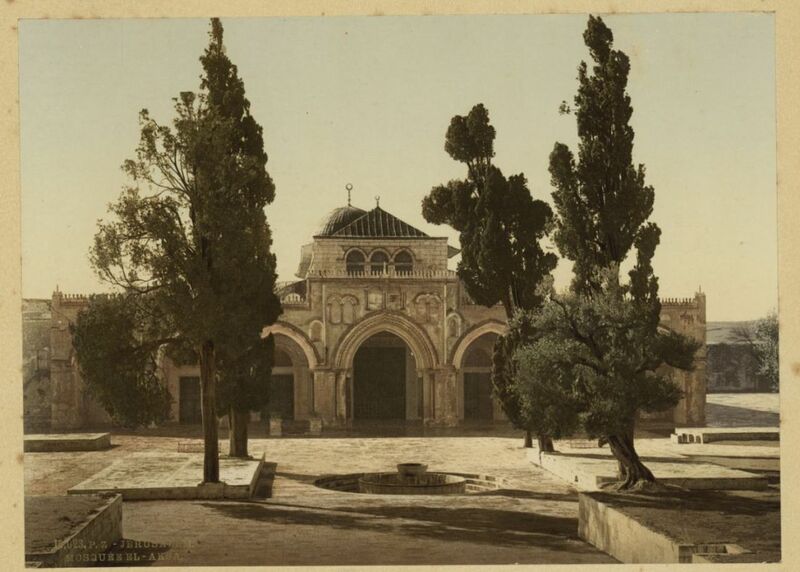 So it's no surprise that most of the photos in the first album show key locations in Jerusalem and nearby areas. The only picture not from there is Jaffa. In that photo, Jaffa longshoremen are seen rowing the boat of renowned tour guide Rolla Floyd. We also see the guide himself, as well as a few tourists. 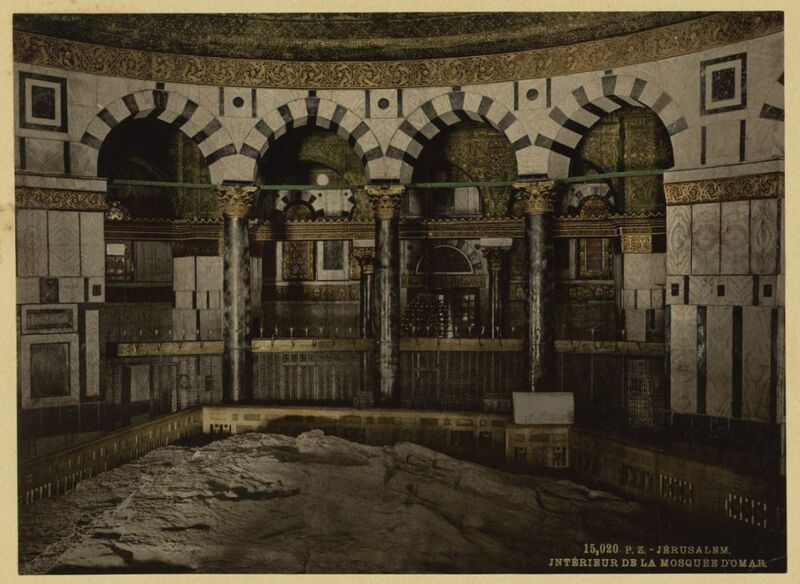 In this album, the entrance plaza to the Al-Aqsa Mosque was given wonderful colors, with Jaffa Gate, Lions Gate and the Foundation Stone in the Dome of the Rock also getting their colors back. It’s possible that the way these photos were colored reflects the image the Swiss employees had of the land’s residents. In all the photos they are shown wearing heavy garments with loud color combinations. We know very little about the history of the second album, which was produced earlier. We do know that on every cardboard page there is a stamp of ownership of a Swiss evangelical school. 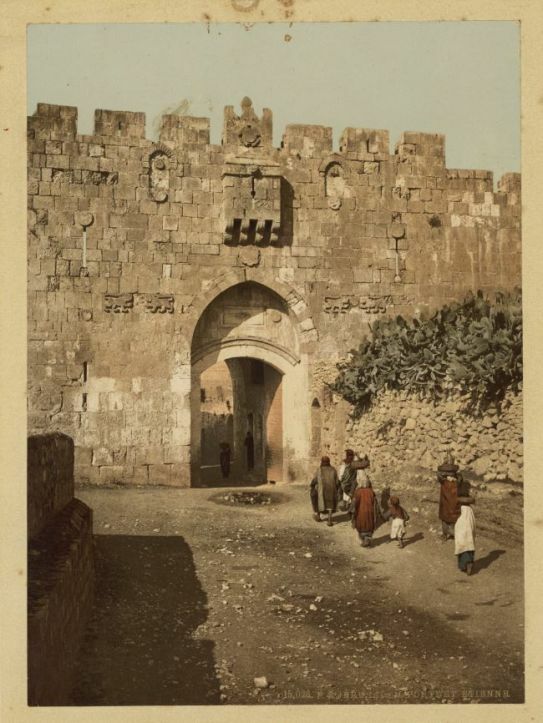 It’s possible that the clients who bought the album visited the Holy Land, but they may have only been interested in obtaining photographs from there. 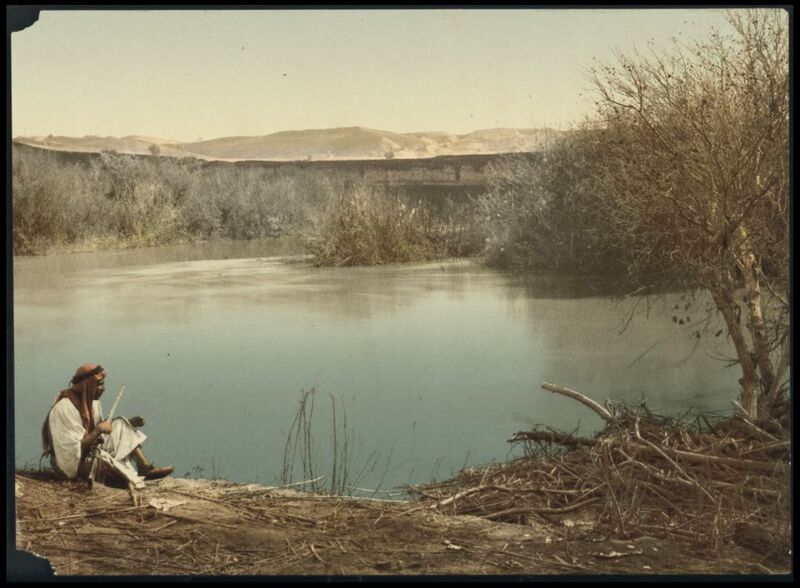 The 36 photochrom prints in this album show landscapes in Ottoman Palestine and Syria. Several photos in the first album are found in the second one as well, or sometimes the photos were taken at a slightly different moment. In any case, this album illustrates several examples of the artistic freedom of the Swiss company's employees. 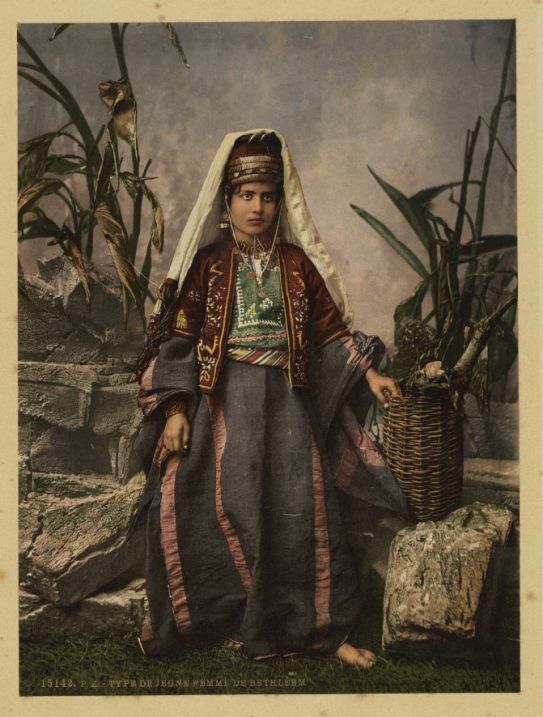 One example is a photo of an Ashkenazi Jew in a rainbow-colored striped gown. 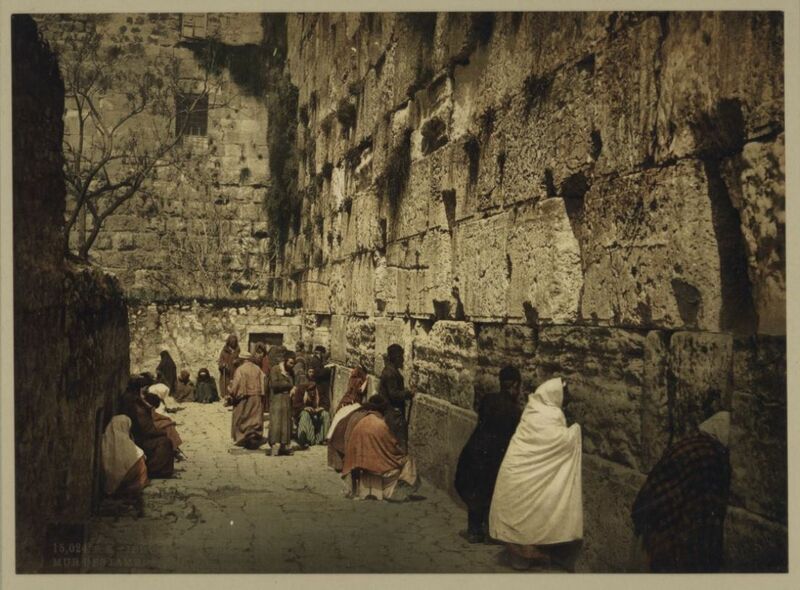 And this article can't end without mentioning the beautiful photo of the Western Wall at the end of the 19th century. 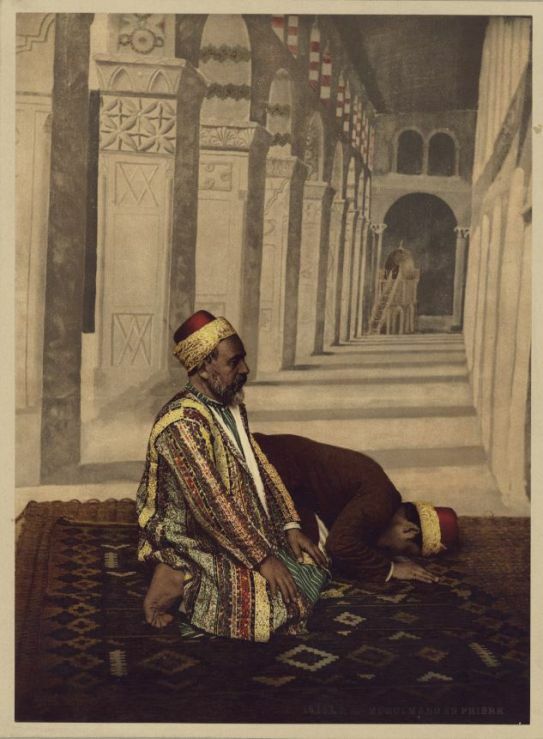 Men and women are seen leaning on the wall attired in black, white, red, green and brown.